McLaren Automotive, a British creator of luxury sportscars and supercars, sold a record 4,806 cars in 2018, as against 3,340 cars in the previous year, marking an increase of 43.9 per cent. 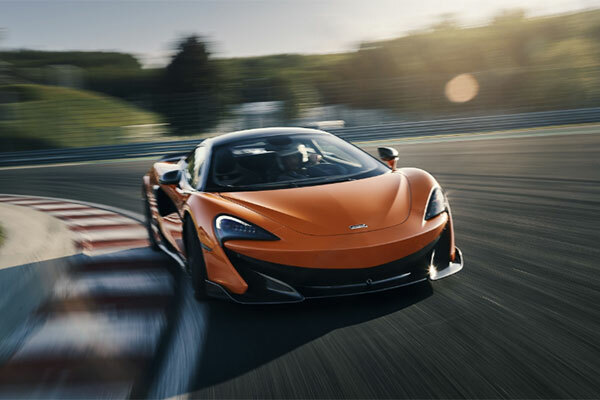 North America, which represents McLaren’s biggest single market and over a third of global sales, surpassed the 5,000 cars sold mark since sales started in 2011 and achieved another year of record growth. European sales rose 44.2 per cent but the biggest leap was seen in China at 122.5 per cent growth following the introduction of the 570S Spider and 720S. China now accounts for almost 7 per cent of total global sales. McLaren’s UK domestic market remained strong, achieving a 49.2 per cent year-on-year growth. The company celebrated building its 15,000th car in the summer at the McLaren Production Centre (MPC) in Woking, Surrey, where all its cars are hand-assembled, and consistently achieved over 20 cars a day with production exported to over 30 markets. The MPC also built its most varied mix of products yet including examples from each of the company’s now firmly established Sports, Super and Ultimate Series offerings. As well as the 600LT and McLaren Senna, the company also launched the first two of 18 new products or derivates under its £1.2 billion ($1.53 billion) Track25 business plan, the fully deposited Speedtail and, most recently, 720S Spider. Growth was supported by a rise in the number of retailers with openings in Bellevue, Washington and Troy, Michigan in North America, a second site added in Tokyo plus new sites in Sao Paulo, Guangzhou in China and Leeds and Hatfield in the UK, signalling a strong domestic market. The brand is now retailed in 32 markets with the additions of Riga in Latvia and Warsaw in Poland. McLaren’s in-house bespoke division, McLaren Special Operations (MSO), which undertakes special vehicle commission and customisation, also had a busy year. More customers are now choosing to add unique, additional luxury touches to their acquisitions which has seen the MSO order book triple in one year. In November, The Duke and Duchess of Cambridge and the Crown Prince of Bahrain opened the company’s second ever facility, the £50-million McLaren Composites Technology Centre in the Sheffield region. It will help the company to innovate and produce lightweight carbon fibre ‘tubs’ that will enable it to deliver the lightest in class products and win what CEO Mike Flewitt has described as the new ‘lightweight race’ in place of the traditional ‘power race’, essential as the company moves towards 100 per cent hybrid sportscars and supercars by 2024, more sustainable solutions which tend to be heavier than traditional petrol based powertrains. “Record sales highlight what a momentous year 2018 was for McLaren Automotive when over 4,800 cars left our Production Centre. That compares to 1,650 in 2015 showing the remarkable expansion in just three years as we work to consolidate growth to 6,000 cars a year by the end of our Track25 business plan,” said Flewitt. “In 2018, we achieved our broadest product offering, launching differentiated, world-beating products such as 600LT and the first two cars under our Track25 business plan in the sublime forms of the Speedtail and 720S Spider both of which have been enthusiastically welcomed by the market. “We believe we’re well-placed in 2019 with a global market spread and diverse product portfolio. Our optimism is buoyed by the fact that we already have strong order banks into this year and exciting product lined up alongside the prospect of seeing our new in-house developed 720S GT3 race car hit the track with customer teams for the first time as we seek to strengthen the links between our founder’s racing history and our production cars.